We had a blast!!! Thanks Carson. Our first time in a radio station. To read the story and hear the audio clip, head here. We listened people. 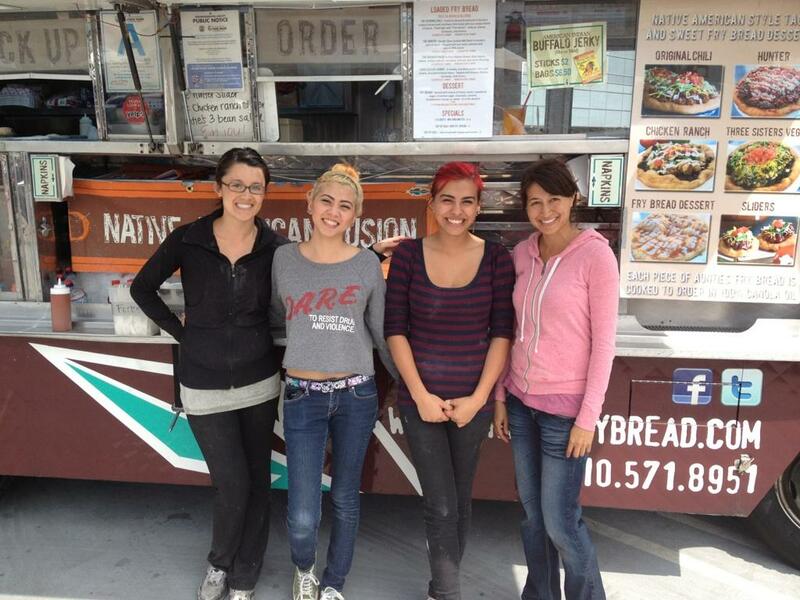 We signed up with Intuit Go Payment, and now we can take cards on our food truck just using our smartphones. It’s pretty cool! If you wanna learn more click here. 1 Year On the Road! Hooray! It’s been a wild ride and we look forward to another great year of food truckin. Get the app on your phone and order, super easy. Support AFB with this cool badge! Feel free to post on your blog or website. Just copy and paste this code and your all set! When you come to visit our truck, say the words “Sho’o Daa’ Chi” pronounced “Show Dah Shay” and receive $2 off your taco! This is a typical “Hello” greeting in the Crow Indian language, the local tribe in Eastern Montana. Auntie’s Fry Bread is launching a food truck in April 2011. We have had a great start over the last few months at the Farmer’s Markets and special events around town and decided a gourmet food truck would be the perfect next step for us. We will be posting on our website our location daily as well as Facebook and Twitter. If you haven’t followed us on twitter yet, go for it. @auntiesfrybread.